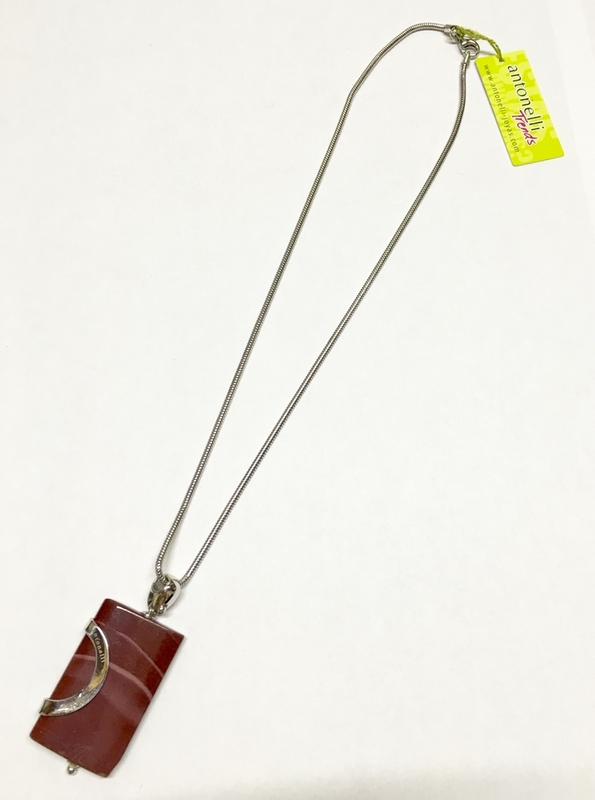 PENDANT in stainless steel anti-allergic with quartz NATURAL colour Garnet. 4x2.5CM. String of BLINKING in steel 45CM tail.